Protecting your kid’s skin from sunburn means getting the facts straight. Before heading outdoors this summer, make sure your kids are protected with sunscreen that actually works. Here’s what to look for in a sunscreen and the recommended Sunscreen Brands for 2014. Consumer Reports recently tested 20 sunscreens. But only 2 brands actually provided the promised level of SPF protection. Look for sunscreens that have an SPF factor >30, broad spectrum, and are water resistant. These claims are regulated by the FDA. The Sun Protection Factor, SPF – measures how much sun is blocked out. Look for an SPF of at least 30 for complete protection. Broad Spectrum – Look for a sunscreen that protects against both UVA and UVB rays. UVB rays cause sunburn, while UVA rays cause aging of the skin and skin cancer, including the deadly form known as melanoma cancer. 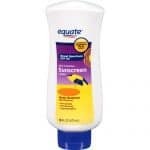 Water Resistance – Even when kids are not swimming, they still need a water resistant sunscreen as even sweat can decrease a sunscreen’s effectiveness. A good sunscreen does not need to be labelled specifically for “Kids”, as all sunscreens contain similar effective ingredients. Some brands claim to be “tear-free”, but the “kids” label is not FDA regulated. Both spray and cream sunscreens work equally well. However, be careful when applying. It’s easy to miss critical areas with spray, or to apply unevenly. Never use spray directly on the face. You can spray your hand, and then rub on. 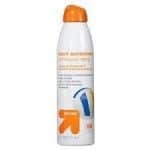 Consumer Reports advises NOT to use spray sunscreens on kids until the FDA completes its investigation of the potential hazards of breathing in spray sunscreen chemicals. You can read their statement here. Whether you use spray or cream, remember to dry thoroughly before putting on clothes or getting into the water. Any sunscreen will rub off quickly, unless it has time to dry. According to a recent Consumer Reports study, most sunscreens do not provide the SPF protection they advertise. Of the 20 sunscreens tested, only 2 provided the promised level of SPF protection. “Consumers just need to be careful when they buy sunscreen, that they are looking at the labels and questioning the information they are reading,” says Trisha Calvo, Consumer Reports deputy editor. 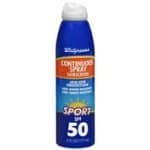 Beyond Coastal Natural sunscreen and Banana Boat Kids were the worst performing sunscreens according to Consumer Reports, with an actual SPF below 15 despite claiming to be over 30. What about Natural Sunscreens or Sensitive Skin? Natural products do not prevent sunburn or cancer. 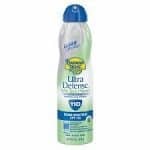 Effective sunscreens must contain FDA-approved chemicals such as UVA-absorbing avobenzone or a benzophenone, and also UVB-absorbing chemical ingredients (some of which also contribute to UVA protection). Using hats, umbrellas, and sun-proof clothing are natural ways to avoid sun exposure. For children with sensitive skin, reactions to sunscreen are usually associated with PABA containing products, not the actual sunscreen protection. Look for PABA-free products if your child has skin reactions to sunscreen. Which Brand of Sunscreen should you buy? Consumer Reports recommends seven sunscreen, all of which are SPF of at least 30, are broad spectrum, and water-resistant. 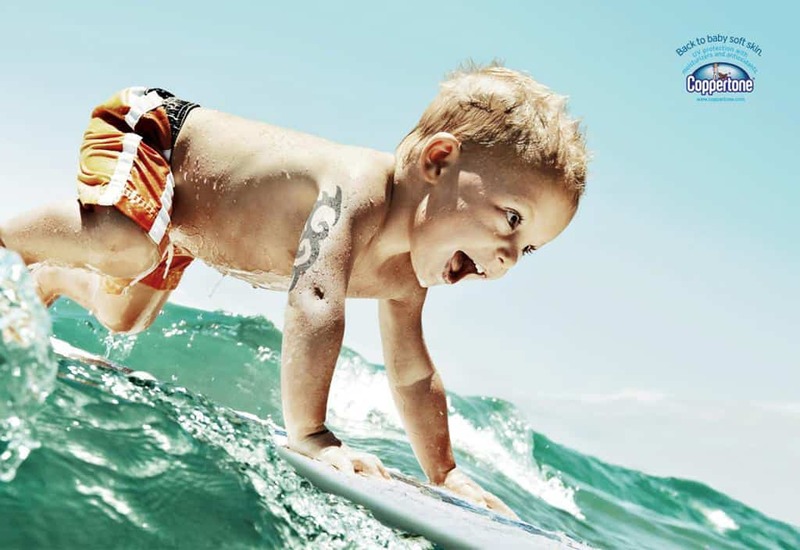 Coppertone Water Babies SPF 50 PABA, Paraben, and dye free. For the full report of 20 sunscreens tests, check out the July 2014 issue of Consumer Reports.